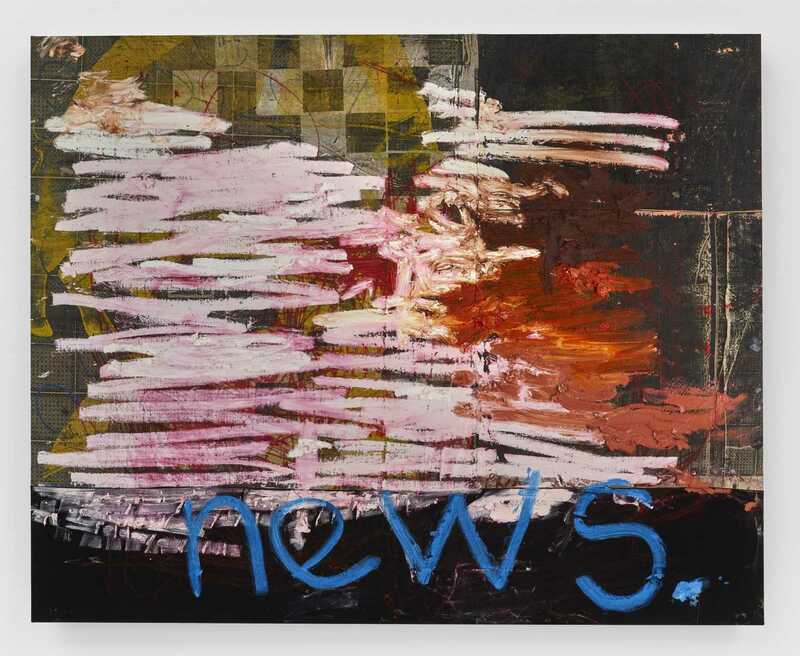 Oscar Murillo, Untitled (news), 2017–2018. © Oscar Murillo. Courtesy the artist and David Zwirner. Para Site and David Zwirner invite you to a talk with artist Oscar Murillo and curator Inti Guerrero. The two will be in conversation about Murillo’s recent projects, including the ongoing solo exhibition The build-up of content and information at David Zwirner Hong Kong, and the installation Collective Conscience commissioned and produced for the 10th Berlin Biennale. Murillo is known for an inventive and itinerant practice that encompasses a variety of mediums in both large and small scale. Taken as a whole, his body of work demonstrates a sustained emphasis on the notion of cultural exchange and the multiple ways in which ideas, languages, and even everyday items are displaced, circulated, and increasingly intermingled. For the 10th Berlin Biennale, Murillo created an installation involving the industrial process of baking bread, the labour required in this process, and the factory environment, coupled with ideas of mass consumption and basic human necessity. The sculptural installations across the courtyard of the Akademie der Künste further reference the human body, pointing to the violence inherent in this process of production, and the many thousands of workers who constantly flood in and out of factories daily. This ongoing flow of workers, which Murillo has likened to cattle being led into a slaughterhouse, reflects the normalisation of aggression through labor. Murillo and Guerrero will discuss these recent themes in that artist’s work and how they have evolved along with contemporary socio-economic and geographic issues. This talk is co-organised by Para Site and David Zwirner Hong Kong. All are welcome! The talk will be conducted in English. Oscar Murillo (b. 1986) earned his BFA in 2007 from the University of Westminster, London, followed by his MFA in 2012 from the Royal College of Art, London. Murillo’s works and projects have been the subject of solo exhibitions at prominent institutions worldwide, and were shown at the 56th Venice Biennale, All the World’s Futures. Colombia-born Inti Guerrero is the Artistic Director at Bellas Artes Projects, Manila. He is also the Estrellita B. Brodsky Adjunct Curator of Latin American Art at Tate, London, as well as the Latin American desk editor of ArtAsiaPacific. He previously served as Chief Curator of the 38th EVA International Biennial, and as Associate Artistic Director/Curator at TEOR/éTica, Costa Rica.